Irish Garden House: Little Man . . .
Little Man . . .
is two . 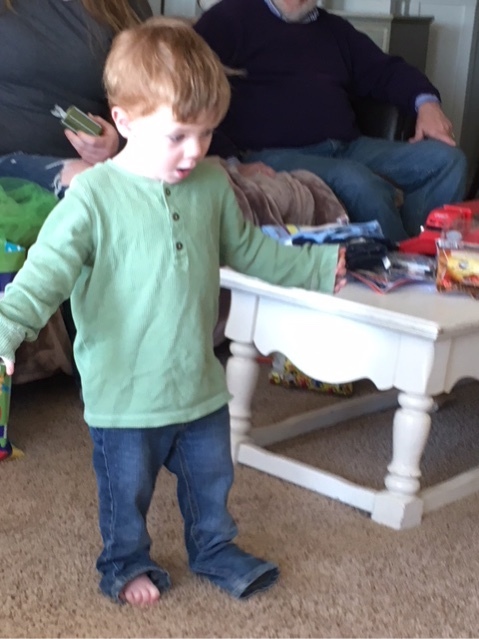 . .
loved his TRAIN reaction . . .
and his toes . . .
Good Morning Lynne, my word, 2 years old and so sweet. I love how he managed to walk with his trousers covering his toes. Was he making up his own little game? A gorgeous little boy. Oh Lynne, this is WAY too adorable! His reaction to the train is adorable. I hope he had a great birthday! Hello, Lynne! He is a cutie, Happy Birthday to the little man! What a cutie. Two is such a fun age. Enjoy!